Géranium pour Monsieur delivers the long lasting freshness that most men desire. Geranium from China, rhodinol, mint, aniseed, spices such as clove and cinnamon, sandalwood, and a large dose of white musks are the main players of this new breed of men's perfume. This seemingly simple formula also contains rare warm exotic notes like incense resinoid and styrax benzoin from Siam to add comfort and sophistication. 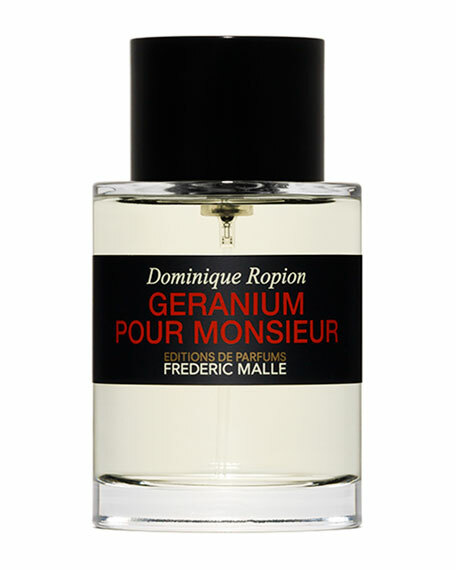 Géranium pour Monsieur is Dominique Ropion's answer to men seeking ultra-chic freshness. 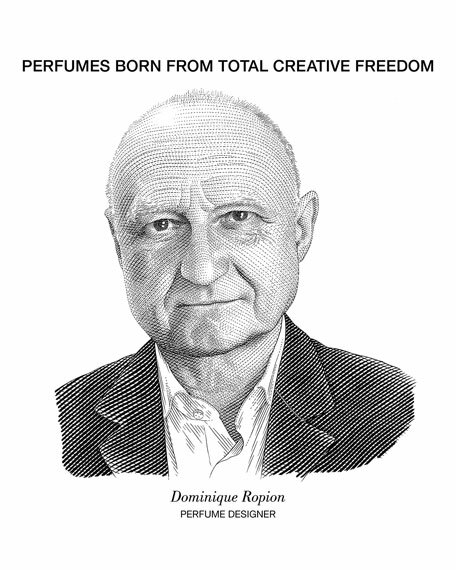 Dominique Ropion trained at the legendary Roure Bertrand Dupont laboratory before going to work with Jean-Louis Sieuzac, one of the perfumery world's great technicians. Today he is a star perfumer at IFF. What makes Ropion's work special is the mix of precision and freedom, and his quest to create new, harmonious accords by pairing ingredients, which are polar opposites. An adventurer who abandons himself to instinct, Dominique Ropion is also extremely rigorous in the final stages of the formulation of each of his fragrances. 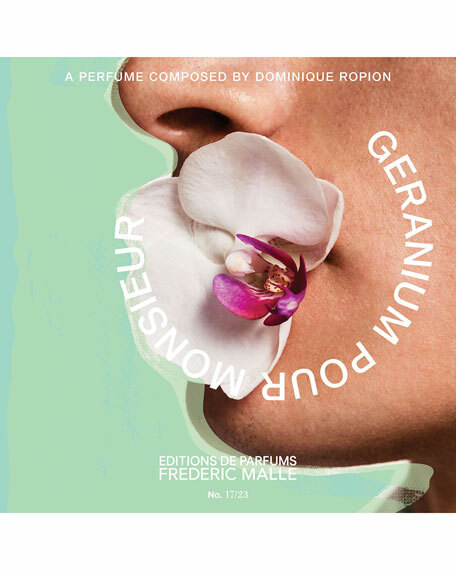 In 2000, Frédéric Malle introduced Editions de Parfums, a completely novel proposition: exclusive, creative fragrances composed by the world's greatest perfumers and sold under their name. 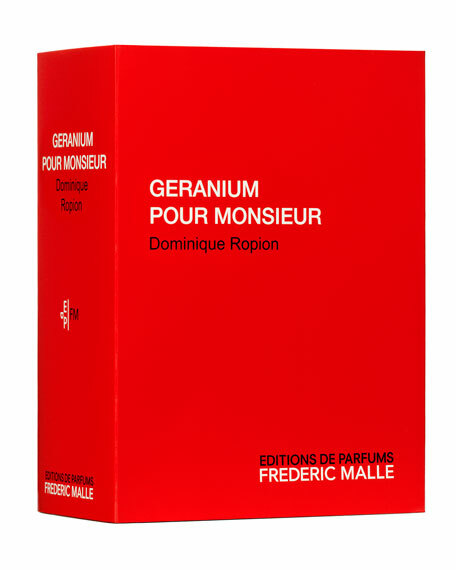 Frédéric Malle, who has worked in the perfume industry for over thirty years and comes from a very distinguished line of fragrance experts, acts as book publisher would, enhancing each perfumer's style. Free from all constraints, these artists' compositions are not compelled by any delay, financial or creative pressure. Editions de Parfums Frédéric Malle embodies traditional French perfumery at its best.